me and him: we like her. 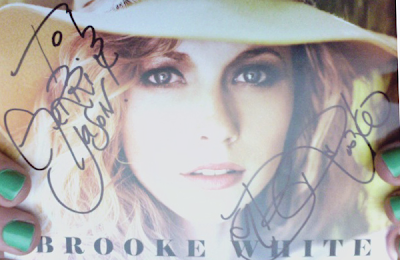 a few weeks ago jas and i went to a brooke white concert. she "mellowed our faces off." and i'm pretty sure me and her would be best pals if we were neighbors. p.s. i like her even though she spelled my name a little bit wrong. No Way! I LOVE Her! Maybe we need her at Mini? wow. what fun. she is a darling, isn't she? !